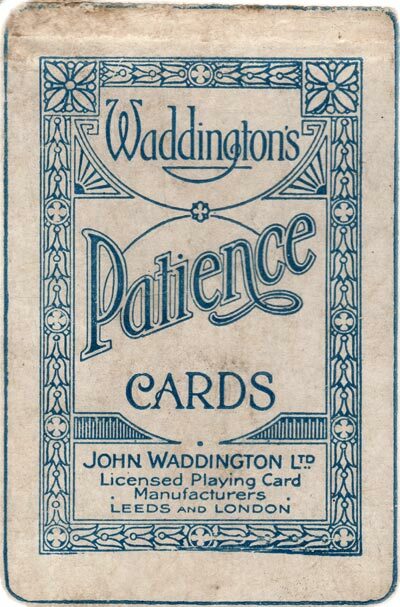 John Waddington Patience from the Barribal Series, c.1929, featuring an early ace of spades design and joker with attractive artwork on the box. 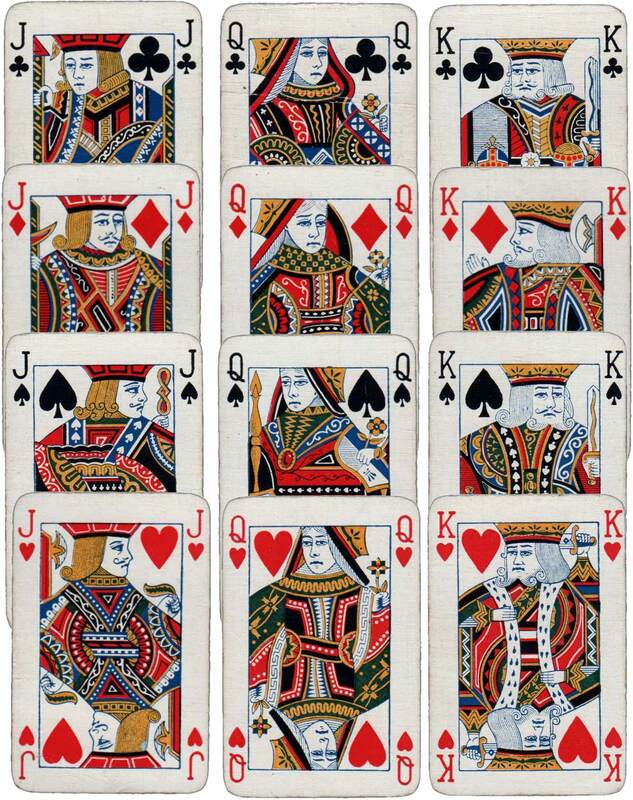 The card on the box doesn’t match the cards within so they must have been swapped. Barribal’s back designs from the 1920s are stylish and chic which some city women try to achieve today. 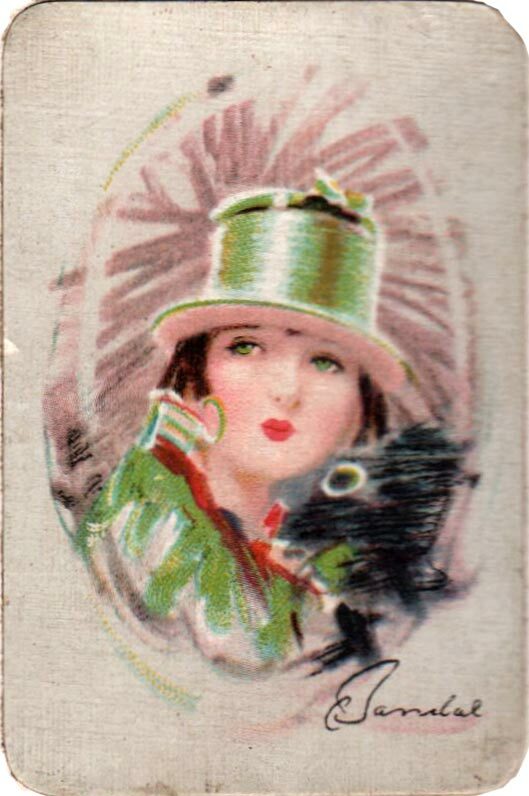 Above: Waddington’s Patience from the Barribal Series, c.1929. Images courtesy Matt Probert.